Yuho Lotus Pond is located in Yudeung-ri and if often called Sillaji. 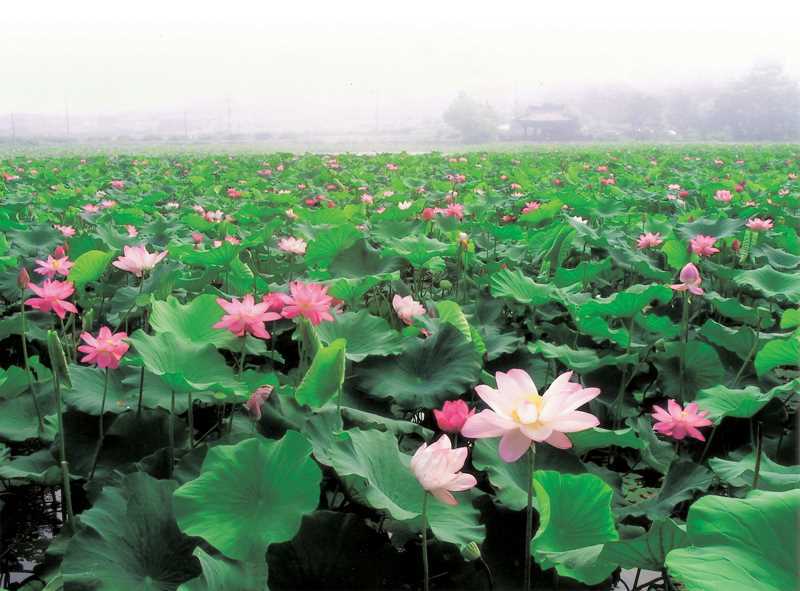 It has a circumference of 900 m and depth of 2 m. The village has become popular for lotus flowers since Lee Yuk retired to Yudeung-ri after his older brother, Lee Ju was exiled to Muo Sahwa. Lee Yuk expanded the pond and planted lotuses in it. 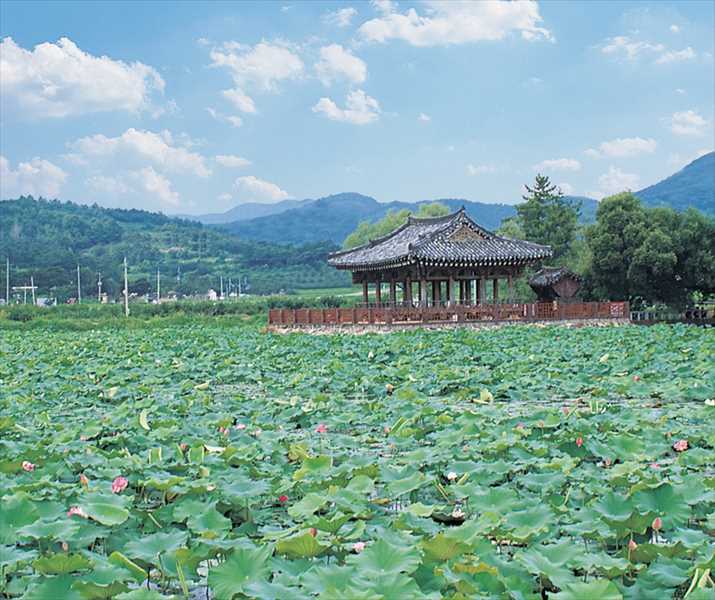 Particularly during the Chuseok holiday, beautiful and young men and women wearing hanbok (traditional Korean clothing) gathered around the pond to see the lotus flowers.